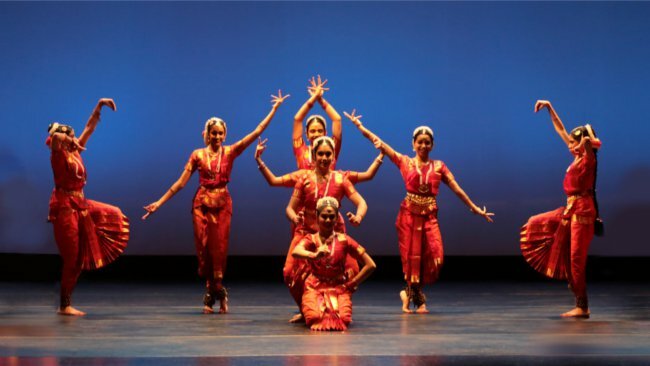 Bharatam’s mission is to nurture students into creative and confident dancers capable of self-expression through the medium of Bharatanatyam. This happens when art is internalized beyond the imitative stages. It is then that true joy of dance takes form. Reaching this point makes a perceptible difference in the dancer’s life and outlook. Bharatam aims to nurture this joy of dance, for it can be a lifelong and enduring trait. With this in mind, students are exposed not only to the dance curriculum, but also to the rich cultural context of this ancient art, to nurture a holistic awareness and appreciation, as artistes and connoisseurs.